Online registration is no longer available for Tier I Tryouts. Walk In registrations will be accepted. Please click on the document link below to download, print, and complete the tryout form to save time at check in. 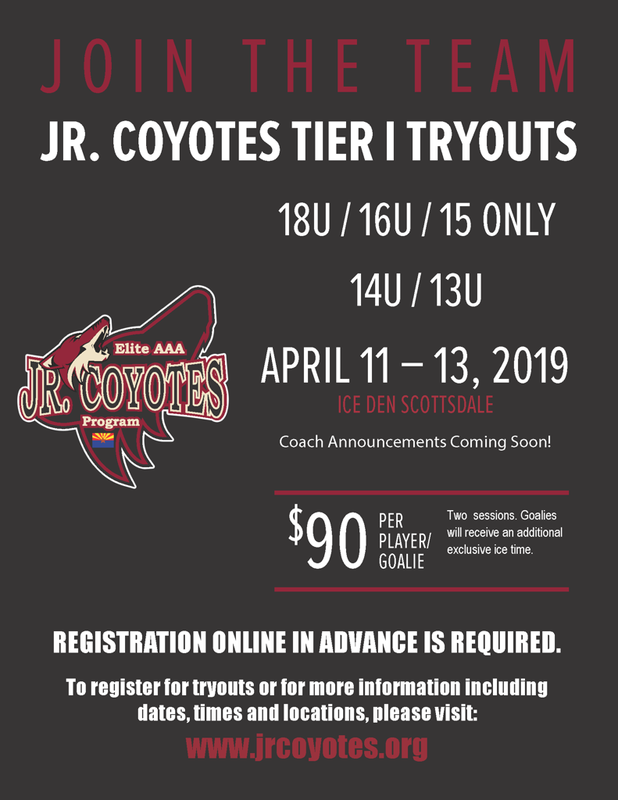 ©2019 Jr. Coyotes / SportsEngine. All Rights Reserved.